The Black Swan, more than any other book I've read, has the ability to transform the way you think about planning and the future. As in, it seems to be utterly pointless in many ways. We don't have any idea what will happen five years from now, much less what will happen tomorrow. 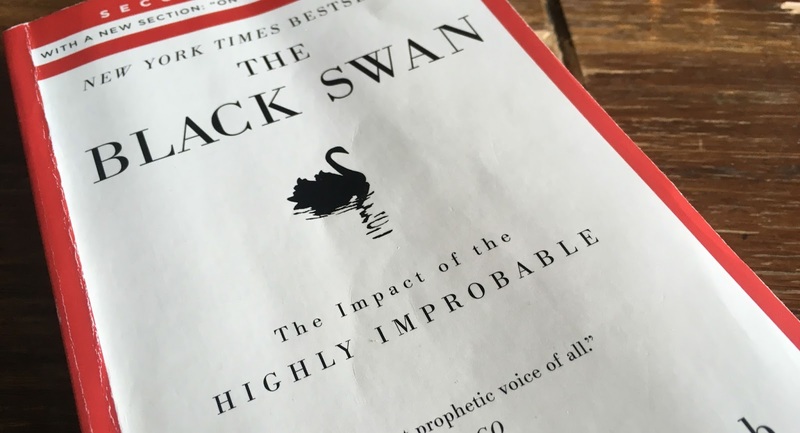 An injury, an accident, the loss of a job--these are all unexpected Black Swans that are still relatively minor on the scale of randomness, and yet each one of those things can massively change the trajectory of your year, and even your life. "The wise man knows what he does not know." "The foolish man thinks he knows what the future holds, but he actually knows nothing." This realization is scary, but just because it's scary and uncomfortable doesn't make it untrue.